Rev. Leonardo J. Gajardo, P.S.S. 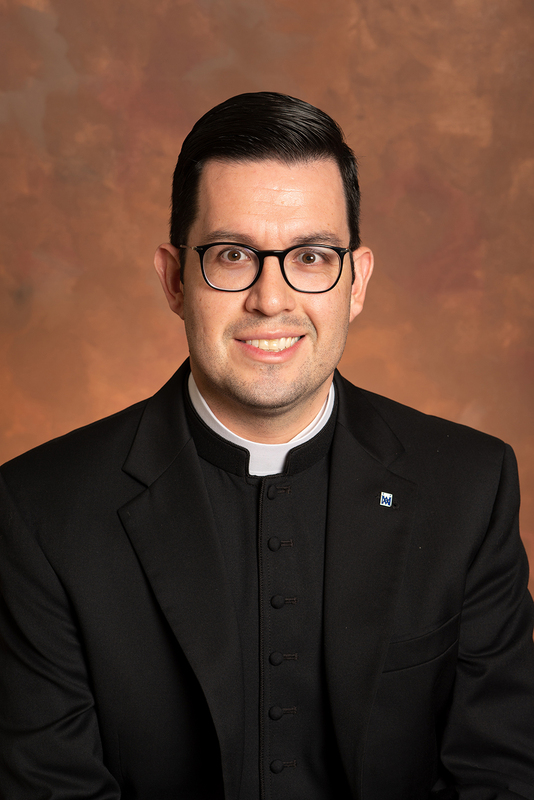 Father Leonardo J. Gajardo was assigned in 2018 to serve as a member of Theological College’s formation faculty and as the seminary’s Director of Liturgy. An alumnus of TC, Father Gajardo was ordained in 2006 for the Diocese of Gary, Ind. Father Gajardo was born in Santiago, Chile, and immigrated with his family to the United States in 1990. He did his undergraduate studies in philosophy at Sacred Heart Major Seminary in Detroit, Mich., and completed his seminary formation at Theological College, earning an S.T.B. from The Catholic University of America. After three years of service in a parish in his diocese, Father Gajardo returned to Catholic University to complete his studies in canon law, receiving a J.C.L. in 2010. For one year, he served as an ecclesiastical judge of the Tribunal of the Diocese of Gary. In 2011, he was admitted as a candidate to the Sulpicians. He served three years on the formation faculty and as professor of canon law at St. Mary’s Seminary & University in Baltimore, Md. In 2014, he was assigned to begin post-graduate studies in liturgical theology at the Pontifical University of the Holy Cross (Sancta Croce) in Rome. He earned an S.T.L. in 2016 and is currently finishing work on his doctoral dissertation.